Less than twenty-four hours after sharing with the world my decision to undergo a hysterectomy, I saw four pregnancy announcements on Facebook and observed a team on my floor throwing a baby shower for a co-worker. Although I am truly happy for these friends and acquaintances, it hit me pretty hard. It felt like Satan was throwing it in my face, tempting me to be bitter, resentful, and jealous. I refuse to be bitter, resentful, and jealous. Life is a gift and we are so blessed to be living it! God has His good reasons for preventing me from carrying a child. Some day I may know and understand those reasons. Maybe I'll never know. Regardless, when I can't see the end, I have to trust. There are so many little losses encompassed in the loss of my dream to have a baby of my own. Friday night, I came across my secret 'Maybe' board on Pinterest (Pinterest is a website that lets you organize links and pictures of things you like, such as recipes, DIY ideas, decorating, inspiration, and so on... simply, it's an online bulletin boards that helps you "pin" things that interest you). 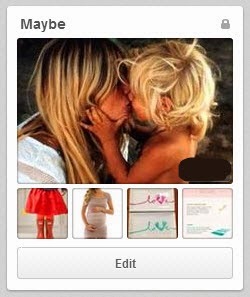 I created my "Maybe" board over two years ago to pin maternity, baby, and parenting ideas I came across that I might one day need or want... maybe... if it ever happened for me. I didn't pin a lot to it, but every now and then I came across something I didn't want to miss out on. I made it a secret board so no one would see me pinning those things and ask me questions... I didn't want to "go there". It hurt too much. Friday, I deleted my "Maybe" board. I felt it would be easier to delete it before my surgery because I certainly didn't want to come across it after. It wasn't easy. Pressing "Delete" broke my heart. Yesterday, I began cleaning as best I could while in pain. I seem to "nest" before every surgery since I know how awful it is to be unable to clean and take care of those household duties! While cleaning the bathroom, I decided to do some purging. 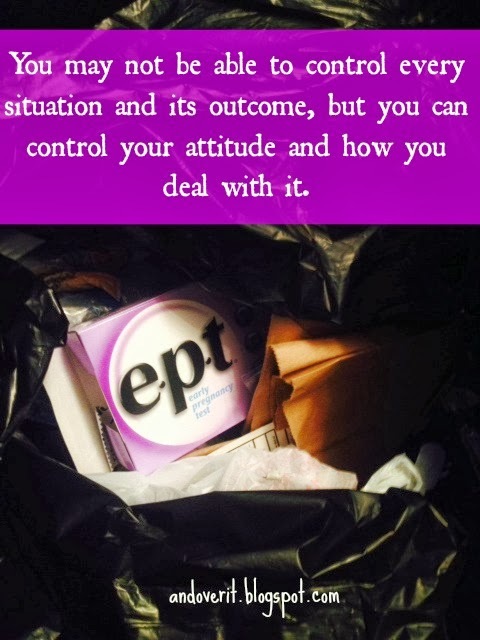 I emptied the trash and began reorganizing the cabinet when I noticed my last home pregnancy test. It had a light coating of dust on it. I just sat there for a minute or two, staring at it, trying to figure out what to do. Those sticks represented a sense of hope and possibility, yet held such bad memories at the same time. I took a deep breath, grabbed the box, and laid it to rest in the bag with the other trash. Later that evening, I noticed we were running low on allergy medicine. As I grabbed the bottle to add it to our grocery list, I noticed my birth control pills sitting there. I realized I will no longer need them. Having secondary amenorrhea, my body hasn't produced a cycle on its own since I was eighteen. 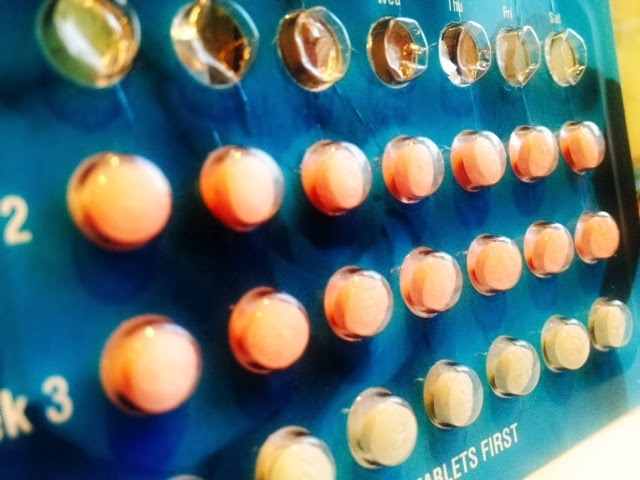 I relied on taking birth control pills for the "benefits" of having a monthly cycle (yes, ladies, apparently there are benefits)! Birth control pills are also known to slightly reduce endometriosis pain, so when I wasn't trying to get pregnant I would take them, although I never noticed much relief. I also went through times when I took these pills simply because I felt my heart couldn't endure a sixth miscarriage. I'm not sure if I'll ever have to take them going forward, to help with pain or for another reason. I just know I will never again take them to prevent a pregnancy or the loss of one. I realize I'm just in the beginning stages of grieving this loss and it's going to get harder before it gets better. Some days I can talk about it without shedding a tear, almost feeling excitement just knowing there's finally an answer I can process, allowing me to move forward. Other days, I'm a bawling mess. I've actually found myself feeling guilty knowing others are observing me living as though "everything's great" while my heart is heavy and shattered inside. The thing is, God has poured peace on my spirit... it's a peace I can't explain! This peace will help me endure the next eight days until surgery, and the thousands of days following. 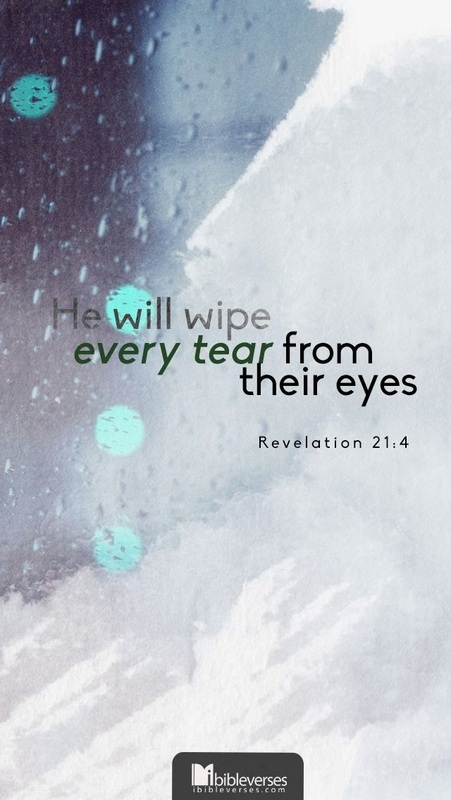 Until my heart heals, my tear-filled eyes will remain focused on Him as I hold onto hope for what He has in store for my life! I can't imagine what you are going through. I will be thinking about you in the coming weeks. That's so sweet Crystal... it means so much that you took the time to share that with me. Thank you from my heart!